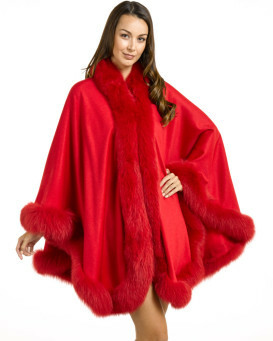 Live in a world of color with our bold Large Burgundy Cashmere Cape with Fox Fur Trim from FRR. This theatrical design is dramatic with a 100% cashmere body. 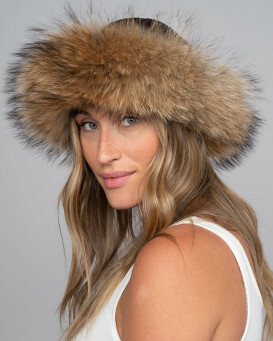 A vivid trim of genuine fox fur provides a lush and elegant look for the fall or winter. The ranch raised fox fur is sublimely lush and soft atop the trim for a subtle contrasting look. A single hook and eye closure fastens this cape over your ensemble. A concealed under arm snap closure creates a relaxed and natural appeal with its Batwing Sleeve design. A loop on the back lets you hang this cape with ease for safekeeping. The Large Burgundy Cashmere Cape with Fox Fur Trim can be worn over a sleek dress or a casual outfit. This large one size fits all design would look perfect during a day exploring the wonders of nature.